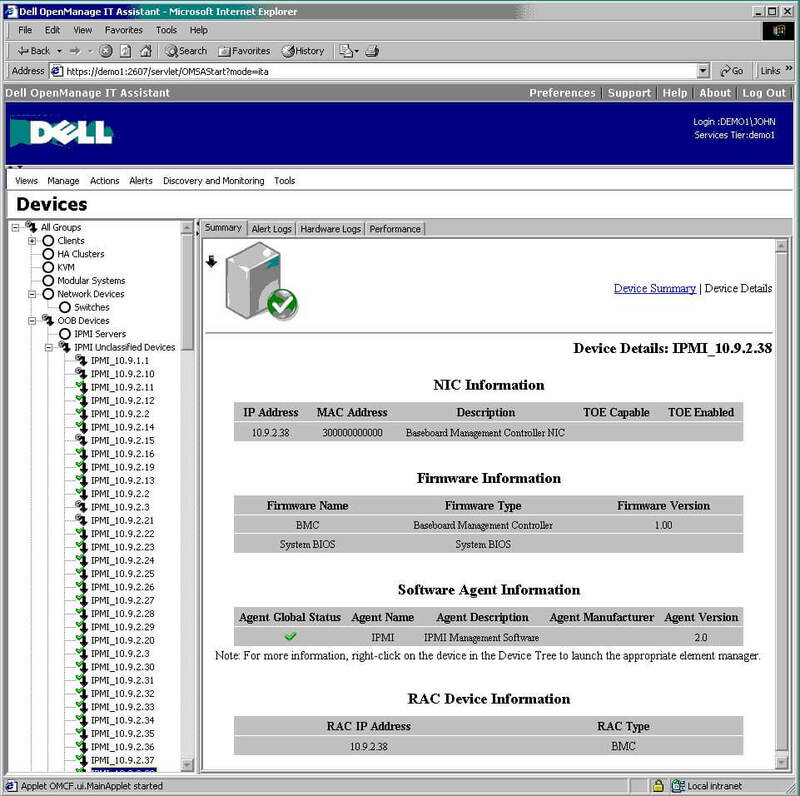 Application discovered many IPMI based deviced simulated by MIMIC. Details of a discovered device at IP address 10.9.2.38. You can see it's NIC, Firmware, Software Agent and RAC Device information.